Since internet has been introduced in our lives, we have become heavily reliant on it. Wireless connectivity, a feature derived from the internet, has definitely come a long way and it has become something most users with laptops and mobile phones simply cannot do without. In fact, Wi-Fi has made our lives so much easier. We can carry our laptops and mobile phones anywhere either in the house or office and get access to the internet. Commonly, most people use their internet router to convert their wired internet connection to a wireless one. By doing this, we can connect our multiple devices to the internet simultaneously and make use of the internet. But have you ever given a thought that what would happen if your router suddenly stops working? You would consider switching to your mobile data plan immediately. But what would happen if your mobile data exceeds its limit and is fully consumed before the end of the day? There must be another way that could keep your devices connected to the internet until you get your router fixed or upgrade your mobile data plan. Fortunately, there is a workaround to overcome this problem. 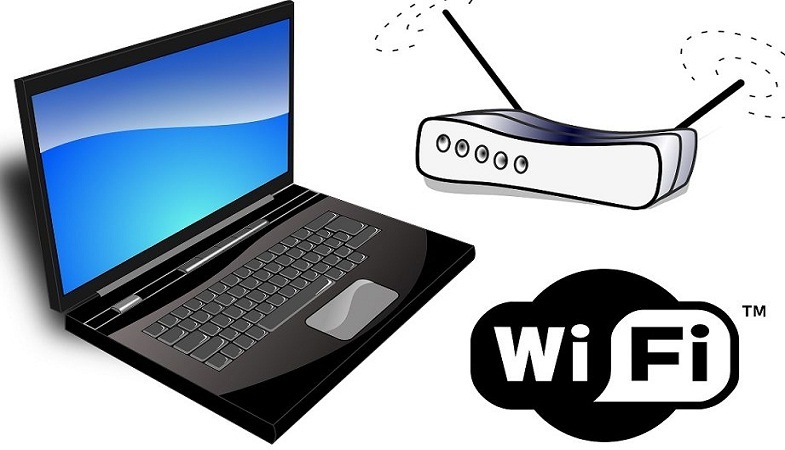 Your laptop has an inbuilt Wi-Fi chip that can broadcast the internet connection across your home and connect your devices to the internet. You can use this Wi-Fi chip to connect your devices to the internet. There are likeliest chances that Windows 10 Anniversary update is being already run on your laptop. If that’s the case, then you can easily share your wired or even wireless internet connection with your devices with the latest Windows 10 version. First thing first, start your laptop and then head over to the Settings menu in Windows. Here you will select ‘Network & Internet’ setting. Once you’ve landed at the ‘Network & Internet’ setting page, select ‘Mobile hotspot’ from the navigation on your left side. To share the internet connection, toggle on the hotspot setting. In just a few seconds, you will be able to share the ethernet connection on your laptop as a hotspot. The password generated by the system won’t be easy for you to remember. Therefore, we would recommend you generate your own password. Click ‘Edit’ to change the password to the hotspot connection your laptop is currently connected to. The app, Connectify also allows you to turn your laptop into a Wi-Fi hotspot. It’s really easy to install as it has a convenient setup process. It works similar to the steps explained above. However, once the app has been installed on your system, it changes all the settings directly through its interface.